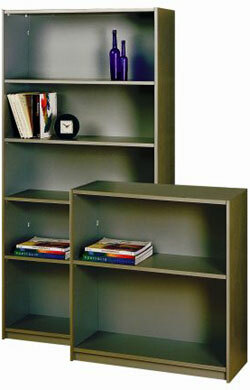 Bookcases are a great way to store and organise books, reference manuals, and lever arch files etc. 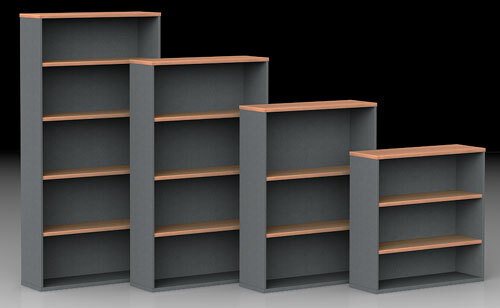 You can create a wall of shelves using bookshelves to organise your book and file clutter. The bookcases in our range are of superior quality to others on the market. Ours have both 19 mm sides and backs whereas many available have just 3 mm backs. 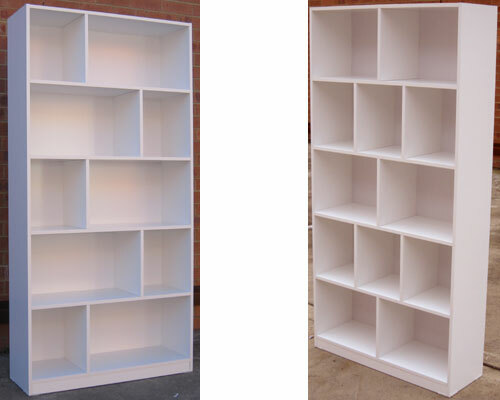 We have a renge of pigeon hole book cases in various colours. Range of colours include: White, Walnut, Grey, black, Teak/Pine, Mel/Baltic, Beech/Cherry/Birch, Pine Veneer. 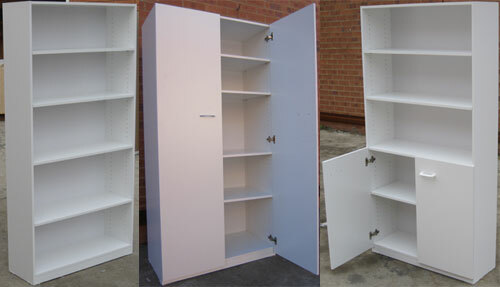 We supply normal, half-door and full-door bookcases. 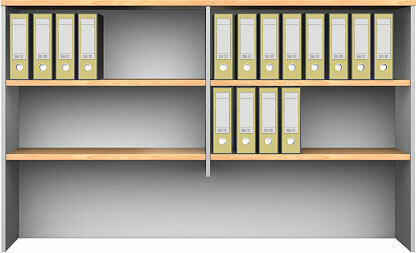 The doored bookcases are also suitable for use as stationery, pantry or linen cupboards. We also includ hutches in our range. A hutch is a set of shelves or book case that can be placed on top of another piece of furniture such as a desk, or low cupboard. You may also be interested in: Compactus Units, Overhead Shelving and Steel Shelving. 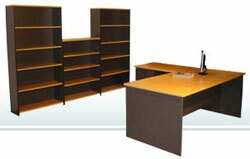 Please feel free to browse this website further to see our extensive range of office furniture. Please see our Contact Us/Map page for further information including trading hours or just call us now on (02) 4261 3055.